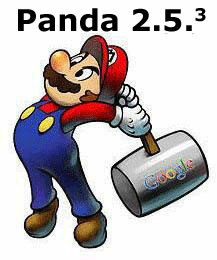 Google Panda 2.5.3 Minor Update on October 19/20th? A WebmasterWorld thread has some SEOs suggesting there was another minor update to the Panda update on the 19th or 20th of October. At noon Pacific time I have already received more traffic from Google than I did all day on any given day last week. It would seem my previous Panda slap has been reversed although I hesitate to say that for sure since the day is only half over. Several other SEOs and Webmasters confirmed the update but no word from Googlers on this update. We do know to expect several minor tweaks to Panda throughout the next few weeks, so this would not surprise me. September 28th we had Panda 2.5, then a minor update on October 9th Panda 2.5.1 and then on October 13th, Panda 2.5.2. Of course, not everyone likes when you label these by numbers, but it helps me keep track of these reports. Did you see an update?